I recieved an awesome favorite thing swap from jettesette; she says it was her first, and she did a great job! I chose landscapes as my favorite thing and she sent me a cool mix cd, bubbles, marble magnets, decoupaged box of landscapes, beautiful handmade landscape purse (I love it so much), and some cool landscape felt coasters. 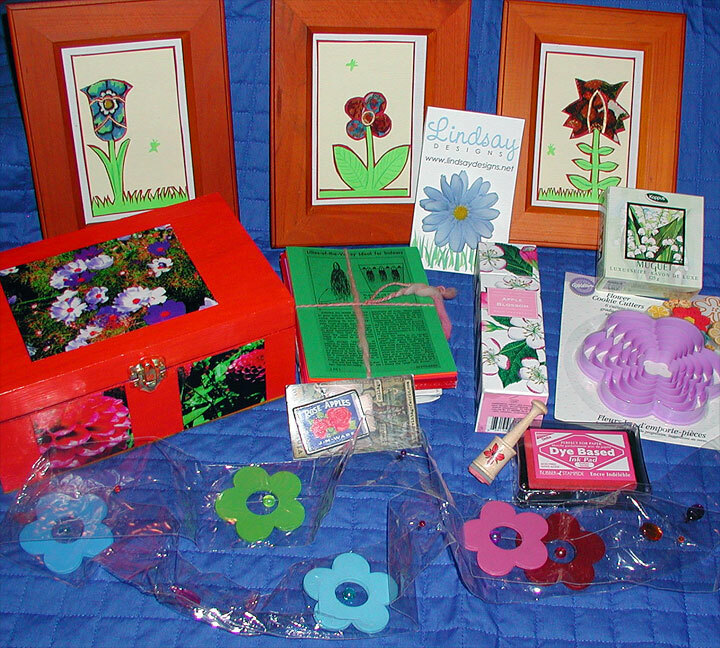 I also thought I’d post a picture of the stuff I sent my swappee (knitwitless don’t scroll down any further): Decoupaged box, flower triptych, handmade flower stationery, lily of the valley soap, apple blossom room spray, sampler pin & charm, and a flower wall-hanging. All-in-all, this has been a great swap! 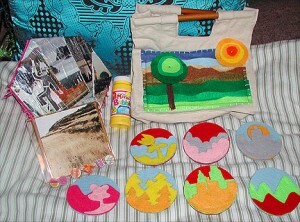 I really enjoyed making stuff for knitwitless; the stuff jettesette sent me is amazing!